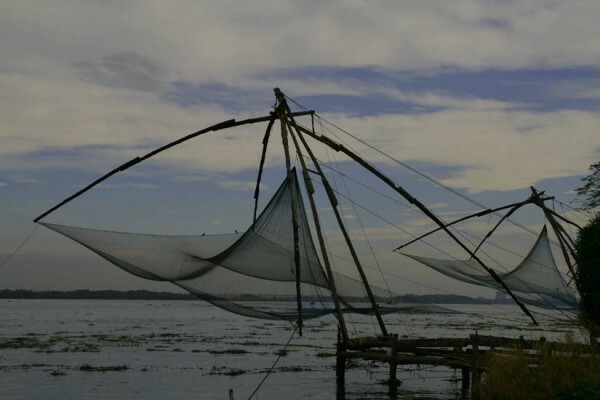 1) Great central location – It’s located at a walkable distance (10-15 minutes) from all the main sites in Fort Kochi, but is far enough away from the touristy heart of the city to feel authentic. 2) Wonderful friendly family – Beena and her family are very warm, welcoming and make you feel part of the family. They are genuinely interested in meeting travellers from around the world, and go out of their way to help you. They can assist you in booking a range of activities or transport to your next destination. 3) Delicious food – As always in Keralan homestays the food is a highlight. Breakfast and dinner are included in the price and is delicous and very generously portioned (your plate will keep getting filled!). The family aren’t vegetarians but did a very good job of providing us with a range of vegetable dishes. 4) Comfortable rooms – The rooms are simple, but comfortable and clean, and come with ensuite bathrooms and a choice of fan or a/c. Beena is a health inspector and rooms are suitably immaculate. 5) Sociable atmosphere – As meals are eaten communally with the other guests it’s a great way to meet other people. The family are always around for a chat too. The homestay is very popular with everyone who stays there and has 5 out of 5 reviews on Trip Advisor. You can book your stay at Beena Homestay by visiting their website www.homestaykochi.com which has full details. Or you can email beenahomestay@yahoo.co.in or call +91 484 2215458. Prices range from Rs 600-800 (£8-10 or US$13-17) for a double fan room, to Rs 1500 (£20 or $32) for an a/c double. If you are interested in staying in homestays in Kerala you can also see our review of Community Greenpalm Homes in the Kerala backwaters. This entry was posted on Sunday, November 15th, 2009 at 6:19 pm	and is filed under Kerala Accommodation, Kerala India Travel. You can follow any responses to this entry through the RSS 2.0 feed. Both comments and pings are currently closed. Many thanks for his fab resource! Can I draw on yur help please. Going to s.India Feb 16th for 3 weeks. Thinking of starting in Trivandrum- bus to Varkala (2 days)boat or bus to Kollam (is there much to see here) boat to Alleppey (stay at homestay rec by you) travel via boat to Cochain 2 day stay at Beena home stay. Not sure what to do from this point as I would like to see Munnar but I also want to see Wayanand. Please could you advice on itinerary I have outlined, have I allowed enough days to see all. I want a more activity holiday. P.S where are the best places to get Ayurvedic treatments? That sounds like a great itinerary, and I think you have enough time everywhere. I would allow at least 3 nights if possible at the homestay near Alleppey, as it is wonderful and there’s lots of activities there. You’ll need to take the bus or train from Varkala to Kollam as there isn’t a boat. There isn’t much to do in Kollam but we liked it as it was untouristy, and we did a great canoe trip. You’ll also need to get a bus or train from Alleppey to Cochin as there’s no boat. You will need to get the local ferry from the homestay to Alleppey though. After Cochin Wayanad would be a great option if you would like to get more off the beaten track and see some wildlife as well as hiking. Munnar is great for walks too, but is more touristy. If you decided to go to Munnar it would be better to go Alleppey-Munnar-Cochin to save travel time. Ayurvedic treatments are available everywhere- definitely in Varkala, backwaters and Cochin. I can’t advise on any particular places though. Yes we had a similar problem, we booked a holiday at the last minute, they hadn’t time to get us tickets, we were told to go to the company desk at the airport on the day (which for you will be the Thomas Cook desk), which we did. They gave us tickets for the return there. Don’t worry, it is surprising what they can do. They can issue you tickets at the airport as long as you have your invoice. Another really great hotel in Cochin, Fort Kochi is Vedanta Wake up!….its a must for anyone who’s been backpacking in India. I highly recommend staying at Vedanta Wake up!, a fantastically fun and clean chain of backpacking hostels.